Perfect for use during all activities, recovery and travel. We strive to ensure an accurate fit. If on arrival you find your compression pants do not fit you may return them for an exchange, store credit or refund. 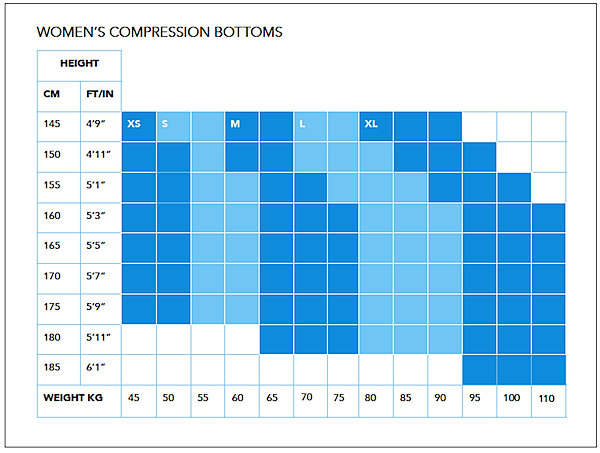 Over the past 5 years of competing on the World Cup Snowboard Circuit I have tried many brands of compression tights. The SIX30 fit better than any other brand I've tried. There is a bit of an intangible attention to detail about the work they have done with this product. You "get it" when you put them on. The flat waistband helps stop roll down, though it could be deeper still. I felt that I could wear SIX30 compression tights for a prolonged period and even overnight without feeling claustrophobic. The recovery effect was considered effective.